Ryan Lidgard took the final spot at the Fish‘O’Mania XXV Grand Final, winning Wednesday’s Lindholme Lakes qualifier with an incredible 323lbs 3oz. Lidgard had initially been disappointed by his peg on Loco, with Benny’s the lake most were favouring given the big weights caught there in recent matches. 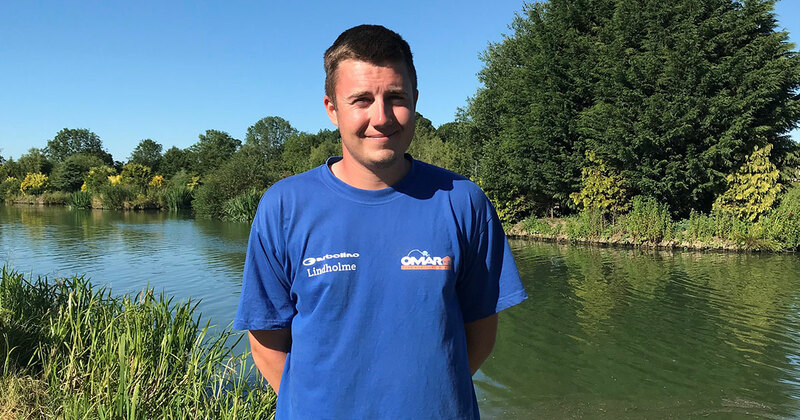 However, a strong start in the sun of the current UK heatwave gave the local angler confidence and he eventually won the qualifier by over 100lbs, setting a new Loco Lake record in the process as 25 anglers bagged in excess of 100lbs. “It is a big weight and I wasn’t expecting that,” said Lidgard, who qualifiers for the second time having also made it to the Grand Final in 2016. “I caught a lot of big carp at the start by mugging then caught a lot of F1s shallow on pellet in the last few hours. It feels great, and unexpected. I was on 45 Loco, it isn’t a noted peg but there were a lot of big carp at the start. Fish‘O’Mania XXV will take place on Saturday, July 14 at Hayfield Lakes in Doncaster, where the winning angler will walk away with £50,000. Spectator tickets are free of charge and can be downloaded at www.fishomania.net. Highlights from Lindholme Lakes will air on Fish’O’Mania – The Qualifiers, which airs at 5.30pm on Friday, July 6th.